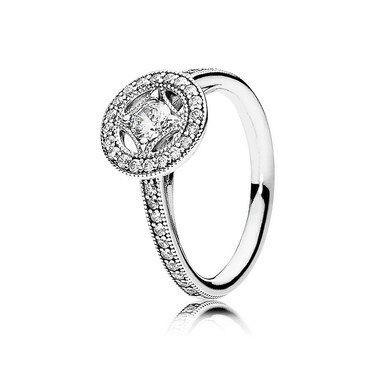 A vintage classic is given a PANDORA update this season with this beautiful silver ring. Sparkling stones will create an effortlessly elegant look whether worn alone or as part of a ring stack. Bought this for my daughter who is 14. She actually chose it herself and sent me to the site. Arrived in good time & well packaged. Looks great. Had a good look around to find a lower price but ARGENTO could not be beaten and free p+p.